Turing took his own life in 1954, two years after being outed as gay. Homosexuality was still a crime in Great Britain at the time, and Turing was convicted of “indecency.” He died from eating an apple laced with cyanide. He was only 41 years old. At the time of his death, the public had no idea what he had contributed to the war effort. Sixty years later, Queen Elizabeth II officially pardoned Turing. Andrew Hodges, a mathematician at the Mathematical Institute at Oxford University, wrote the biography “Alan Turing: The Enigma”, which inspired the film. We spoke with Hodges this week about some things many people don’t know about Turing. He participated in a few sports, such as rowing, but he loved running. 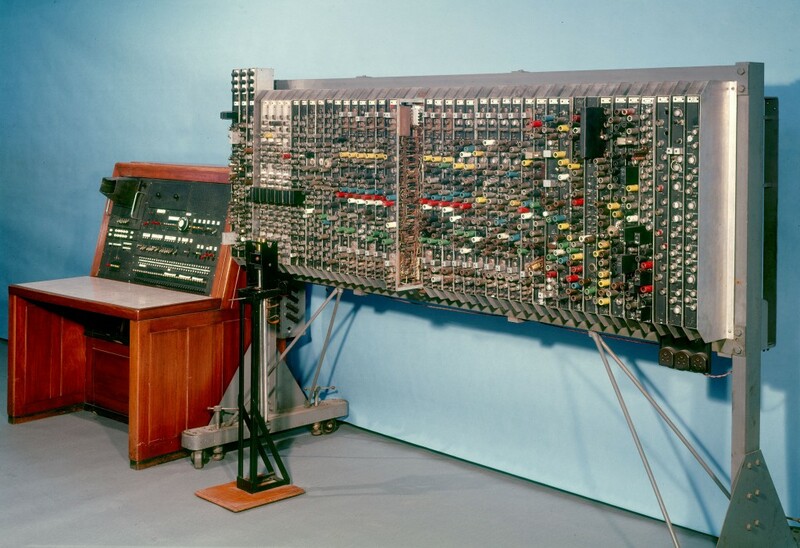 Turing had “a bit of a ‘smelly trainers’ aspect” to his personality,” Hodges said. To work it into his day, he often ran to the places he needed to go. He used to run the 10 miles between the two places where he did most of his work, the National Physical Laboratory and the electronics building on Dollis Hill, beating colleagues who took public transportation to the office. He joined running clubs, becoming a competitive amateur and winning several races. In 1948, his best marathon time was 2 hours 46 minutes 3 seconds — only 11 minutes slower than the Olympic winning time that year. “He was a hippie before his time,” Hodges said. “He was very casual in those days, and thought very scruffy.” Had he lived a few decades later, he would have worn t-shirts and jeans every day, Hodges added. It wasn’t uncommon to see Turing dressed rather shabbily, with bitten nails and without a tie, he said. With his youthful face, he was often mistaken for an undergraduate even in his 30s. He also shared the left-leaning views of many of his Kings College compatriots, who included economists John Maynard Keynes and Arthur Cecil Pigou. Though Turing joined the Anti-War Movement in 1933, he never got deeply involved in politics. But watching Hitler’s rise to power in the late 1930s scared him, Hodges said, and it spurred his interest in cryptography, which would later help Great Britain in the war. Science was a considered a second-class pursuit in English public schools in the 1920s, Hodges said. Turing’s passion for science embarrassed his mother, who had hoped he would study the classics, which was the most acceptable pursuit for gentlemen. His math and science grades weren’t much better. He was nearly stopped from taking the national School Certificate exams on the subject, for fear he would fail. Turing’s most notable work today is as a computer scientist. In 1936, he developed the idea for the Universal Turing Machine, the basis for the first computer. And he developed a test for artificial intelligence in 1950, which is still used today. But he also studied physics, especially as a young man. He read Einstein’s theory of relativity as a teenager, and immediately filled a notebook with his own thoughts and ideas on the subject. He dabbled in quantum mechanics, a new field at the time, as well as biology, chemistry and neurology after the war. Much of this work was related to creating machines that could learn and “think”, but some of it came out of simple curiosity about the world. 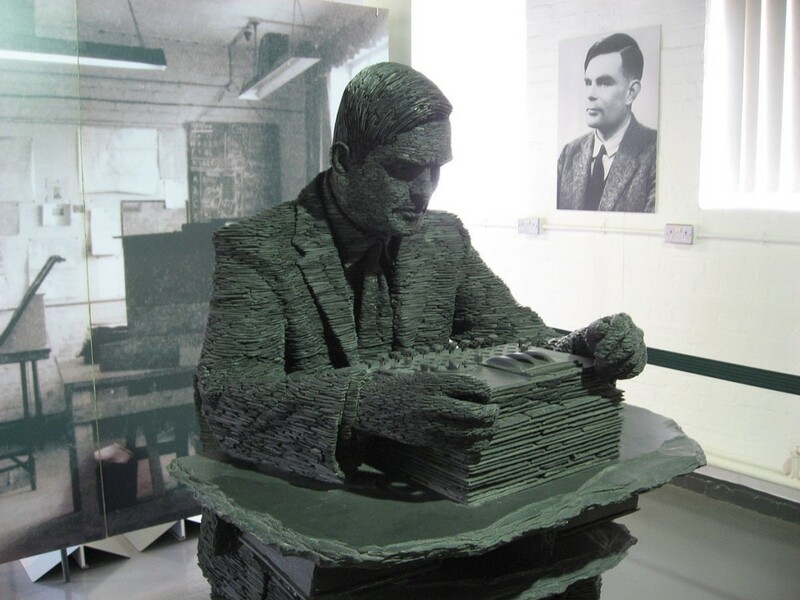 Even as a child, Turing saw life through the eyes of a scientist, Hodges said. There is a famous sketch of Turing as a boy “watching the daisies grow” while the other children play field hockey. That sketch would foreshadow Turing’s ground-breaking work in 1952 on morphogenesis, which became a completely new field of mathematical biology. It was a mathematical explanation of how things grow — a great mystery to science, Hodges explained. His work on the subject has been cited more than 8,000 times. It is true that he had a bit of a stammer, something dramatic portrayals of Turing have exaggerated, Hodges said. He “took his time finding the right words,” he explained. In his biography he notes that a BBC radio producer had called Turing a very difficult person to interview for that reason. The laws at the time prevented Turing from being openly gay, but he never kept his sexuality secret either. He was open with his social circles at Kings College in Cambridge, which was “an oasis of acceptance” at the time, Hodges said. Many people would have clung to that oasis, he said, but Turing branched out to continue his work. In 1952, he was arrested and charged with “indecency” after a brief relationship with another man. Defiant, he did not deny the charges. The punishment for homosexuality was chemical castration, a series of hormone injections that left Turing impotent. It also caused gynecomastia, giving him breasts. But Turing refused to let the treatment sway him from his work, keeping up his lively spirit. He openly talked about the trial, even in the “macho environment” of the computer lab. He mocked the law’s absurdity. In defiance, he traveled abroad to Norway and the Mediterranean, where the gay rights movements were budding. 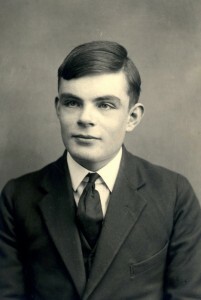 Homosexuality was considered a security risk at the time, and the conviction cost Turing his security clearance. That was a harsh blow, and Hodges believes that when he was restricted from leaving the country anymore, it ultimately led Turing to suicide.